Thank you, Jer - it will be a bumpy ride for sure . I am currently on a long weekend trip, so coding is delayed a bit. It is really great to develop without time pressure . Have a great weekend of adventure! 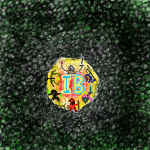 And yes, there is no time pressure for IB. We have been around for a long time now and will continue to be around for many more decades working at our enjoyable pace. Thank you, Jer . We are chilling in Amsterdam here, very relaxed and easy. Doing IB the same way, as you write, is the perfect way . Nice and steady progress with our pushable objects here . I have a first implemenation coded (only push upward for testing) and am currently doing the toolset side. When done with this, I will build a first prototype and start debugging. I expect this to go on for quite some time as this is a rather ambitious subsystem . Ha, pushed my first test object around (well: upward ) ingame. Lots of side functionalisties are still buggy and unpolished, but we have a foot in the door now. The main functionality is up and running . Hehe, there's hope for all directions . I got a bit sidetracked though with polishing how bumping into a wall (or a pushable objects) affects the movement of the weather sprites - fixed a little glitch there. While at this, I am testing a new way of spawning the initial particles for snow, rain and sandstorm. Nothing is better than having a clear set focus . A small step for a proficient coder, a great step for tinker me: we can push props downwards, too, now ! More seriously, I spend quite some time optimizing snow and rain sprite appearance on initial spawn (beforehand they started top row and gradually filled the screen, which could be awkward when moving the party towards map border, effectively pushing the snow back again; now they fade in spread across the whole screen directly, like eg the clouds do, which has the effect that the party cannot visibly "push" the snow/rain sprites anymore) . Resetting the pushable grid (and party position) via G hotkey also works nicely already. This feels somehow great to me, like as if this subsystem is showing a glimpse of its final shape for the first time. Again, I am currently sidetracked a bit though: Performance has become a bit too choppy on my notebook. I am on a good track here for improving this a bit by adjusting the load (and cull) on demand system for tile and prop graphics. It was much too aggressive (or so it seems right now). This change in particular will need feedback later from you fine guys as I might overdo this and cause crashes in the worst case. Basically I do trial and error for my notebook here, which is dangerous without testing on more setups. Reminder to self: Store the old, working values for loading and culling safely . Finished optimizing the graphic streaming for now. Feels much smoother to me, but - as said - your milage may vary here, so any feedback regarding peformance later on is more than welcome. We can push in all 4 directions now, yeah (also pusblished on github, but the last github version still has a little bug when it comes to left/right pushes that I have fixed inetrnally already). Multiple pushable objects work out nicely. I added a property for draw direction of party tail on reset. Also, fixed a little omission in the new initial spawning system for rain and snow.